Come eat, drink, play and shoot! 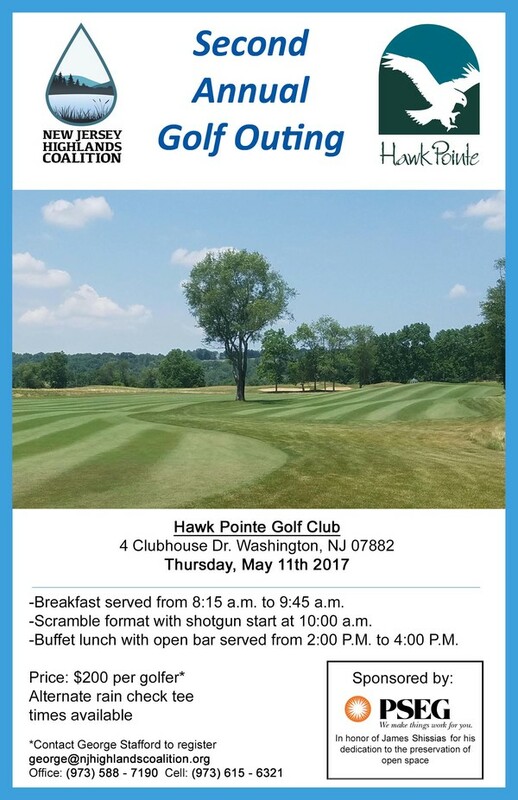 Join the New Jersey Highlands Coalition and Hawk Pointe Golf Club for our Second Annual Golf Outing and photography/video workshop. Enjoy the 72-par golf course with 18 holes of distinct character including natural areas, wetlends, dense woods, historical markers and glimpses of an abundant wildlife population. If you don't golf join us for lunch and an open bar or a unique photography/video workshop throughout the natural areas of the beautiful Hawk Pointe Golf Course. Sponsored by PSEG in honor of James Shissias for his dedication to the preservation of open space.